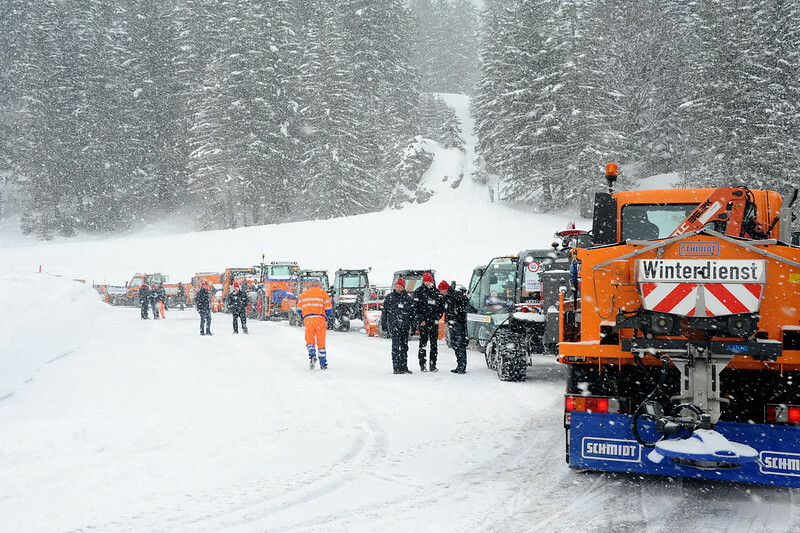 The winter service demonstration 2016 of Aebi Schmidt Switzerland at Schwägalp in Canton Appenzell, lives up it name – in time for the event the winter showed its impressive side and turned the demonstration area into a snowy winter landscape. Much to the delight of the 18 winter maintenance vehicles of the brands Aebi, Schmidt and MFH. Around 200 enthusiastic visitors from all over Switzerland took the opportunity to inform themselves about the latest vehicle and equipment technology. During test drives the guests could experience the capabilities of the devices. The highlight was the presentation of Aebi TT 211 Terratrac with crawler tracks and the Supra 4002 snowblower with vigorous 435 hp.